RALEIGH – The General Assembly returned Monday for part two of its Hurricane Florence recovery session, unanimously passing about $400 million in new appropriations, but the bill fell short of what the administration and environmental advocates say is needed in water quality and resilience improvements. The bulk of the money in the bill, Senate Bill 3, goes for transportation, schools, agriculture and state funding matches for federal grants. The legislature also set aside an additional $395 million to be used for further recovery funding but did not specify where it would be spent. 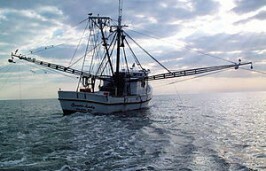 Funds for the state Department of Environmental Quality were limited to three coastal programs, including $2 million for the Division of Water Resources to conduct a survey of damage to beaches and channels and to assess disposal areas for dredged materials; $1.6 million for the Division of Marine Fisheries to compensate commercial fishing and shellfish operations for equipment and income losses; and $400,000 to DMF to support the North Carolina Coastal Federation-sponsored marine debris cleanup program. The federation is the publisher of Coastal Review Online. A policy provision in the bill directs the Coastal Resources Commission to adopt new temporary rules that would streamline permitting for living shorelines. Division of Coastal Management director Braxton Davis told an oversight committee last week that after a post-storm assessment, living shoreline projects proved their worth. Another $20 million in the bill is earmarked for the state’s Golden LEAF Foundation to distribute grants to local governments and nonprofits for repair and replacement of storm-damaged water, wastewater and stormwater infrastructure. The foundation is a nonprofit set up to use part of North Carolina’s share from the 1998 settlement agreement with cigarette manufacturers to increase economic opportunity in North Carolina’s rural and tobacco-dependent communities. In a statement issued shortly after signing the bill, Gov. Roy Cooper said he appreciated the legislature’s quick response and set out the next steps in the recovery. In a response to Coastal Review Tuesday, Cooper spokesperson Ford Porter said the governor will continue to push for more DEQ resources. Legislators said the bill was another step in a long process. Rep. Nelson Dollar, R-Wake, the House Appropriations Committee chair, told legislators the first strategy was to use the roughly $400 million in this round of recovery funding to address immediate needs. The rest of the funds set aside would be available for use once legislators return in November. Dollar said he expects appropriations for the recovery to also be a part of the next year’s budget process. Cassie Gavin, director of government affairs for the North Carolina Sierra Club, said there were positives in the bill, but it failed to address some of the more pressing environmental needs, including a proposal by Cooper to fund $25 million in grants through the Clean Water Management Trust Fund for flood abatement and surface water protection and $13 million for DEQ to support additional testing and monitoring and assistance programs for local government water quality and system resilience projects. Pricey Harrison, D-Guilford, said she was disappointed to see that the bill failed to include the CWMTF and resiliency funding. Harrison said it’s a fair assessment that legislative leaders steered away from issues that would have been controversial ahead of this year’s elections, but she’s worried that rebuilding could go forward without a new strategy in place. She did not expect the policy changes to take place quickly, however, saying the coming lame duck session, scheduled to start Nov. 27, is likely to be “less congenial” than the two recent recovery sessions. Harrison said a deeper look at policy changes and the prospect of additional funding is more likely to take place next year after a new General Assembly takes office. During debate on the bill in the House, Rep. Pat McElraft, R-Carteret, said the state will need to develop a long-term strategy for riverine flooding. She said she wants to see more debris removal in the rivers and streams as well as a look at whether dredging the rivers is an appropriate route. She said she supported setting up the new resiliency office to help policy makers get a better understanding of the problem and potential solutions. McElraft said the new recovery bill was just the start and a major shift in policy and funding won’t come easy. “It’ll take a lot money, a lot of study and we’ve got to get it done,” McElraft said. Rep. Robert Muller, R-Pender, told his colleagues that he appreciated the new round of funding, but is reminded every time he travels in his district of the enormity of the task ahead. He said the debris removal alone is daunting, especially on Topsail Island, where there was flooding from the storm surge and hundreds of roofs damaged by powerful winds. Further inland near the low-lying areas along the Northeast Cape Fear and Black rivers you see the same thing, he said. The bill, which was approved unanimously in both chambers and signed into law by the governor Monday night reserves $849,430,477 for the recovery effort and appropriates $398,430,477 to the Hurricane Florence Disaster Recover Fund. The unspent portion would be held in reserve for the next round of funding, which legislators expect to take up when they return to Raleigh in November. To cover the total, the legislation draws $700 million from the state’s Savings Reserve, sometimes called the Rainy Day Fund; $65 million from the state Highway Fund; $25 million from the Education Lottery Reserve account; $2 million from the Shallow Draft Navigation Channel Dredging and Aquatic Weed Fund; and $930,000 from unused funds allocated to the Department of Insurance under a Hurricane Matthew relief fund. Legislators opted not to pull money from the state’s unappropriated fund balance, which was a key source of funds for the governor’s plan. The governor’s plan called for a total of $1.5 billion with an initial “down payment” of $750 million. It used the same $25 million from the lottery reserve and $65 million from the Highway Fund as the General Assembly plan, but split the remaining cost of the down payment, about $662 million between the unappropriated fund balance and the savings reserve drawing $331 million from each. At a recent briefing, State Budget Director Charlie Perusse said the state’s current unappropriated fund balance is about $650 million. 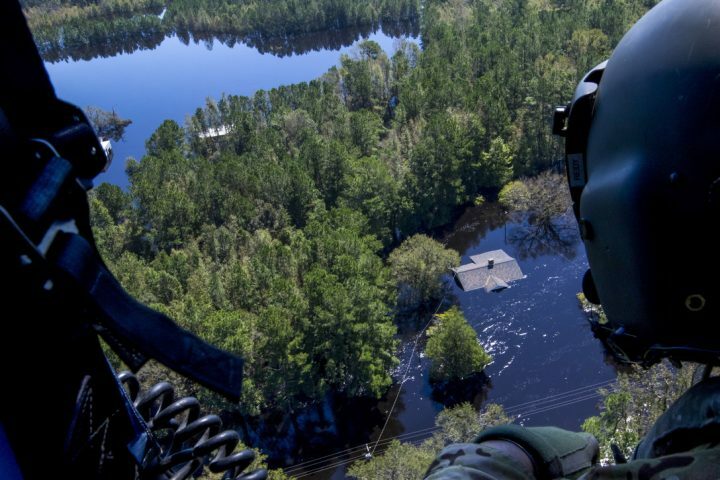 The largest chunk of money in Senate Bill 3 goes to the Department of Public Safety, which will get $100 million to be used mainly for additional state matching funds for Federal Emergency Management Agency grants and to set up an Office of Resiliency and Recovery, which was requested by the governor to manage the long-term recovery effort as well as projects and studies aimed at improving resiliency. Fifteen employees at the Department of Emergency Management who are already working on recovery projects would move to the new office and hiring would start for an additional 15 employees. The new office will take over distribution of a $23 million fund for home repairs and renovations and a buyout and relocation program to move families out of floodplains. Another program under the office would distribute $8 million in financial aid to non-profits that provide shelters, housing repairs and other disaster recovery services. The Department of Agriculture and Consumer Services would receive an initial $70 million with $50 earmarked for hay relief, pasture renovation, reforestation, non-field road repair and to cover the state matching requirements for federal Department of Agriculture grants. About $20 million is set aside for the state match for federal farmer assistance grants. Another $1,121,629 goes to the Soil and Water Conservation Division for stream debris removal, stream restoration, sediment removal and drainage repairs. The bill sets up the structure for a larger farmer recovery program requested by both Cooper and Commissioner of Agriculture Steve Troxler but does not appropriate $200 million in funding requested. In a hearing earlier this month, legislators said they wanted to see the way the program would work before putting up the funds. The program, which Cooper said could also include an expanded conversion and buyout program for waste systems at large swine operations, is expected to be one of the items up for discussion when the legislature returns after the elections. Transportation/ Debris Removal – The Department of Transportation’s $65 million appropriation covers the state’s 25 percent match requirement for FEMA grants for road repair and debris removal. Education/Higher Education – Local school systems would get $60 million in funds for repairs and $30 million is allocated for repair and renovations to damages facilities at University of North Carolina Wilmington, UNC-Pembroke and Fayetteville State University. UNC system and community college students from counties affected by the disaster would also receive individual assistance to cover tuition and expenses that would might cause them to withdraw from school. Department of Health and Human Services – Funds in the bill include $5 million for mental health services, $500,000 for assistance for unaffiliated hospitals in the disaster area, $3.5 million for Supplemental Nutrition Assistance Program, or SNAP, assistance, $1 million for an emergency prescription program and $2 million toward an estimated $7.6 million in costs to local health departments for mosquito abatement. Housing – The state’s Housing Finance Agency receives $10 million to assist with development of affordable housing and repair single family homes and existing HFA properties in affected counties. Volunteer Fire Departments – A total of $930,477 for volunteer departments for repairs and damages not covered by federal assistance or insurance policies.